Like many of our career staff, Harold came to us with a compassionate desire to help animals and educate students. He developed his job skills and knowledge to become the manager of our Emergency and Critical Care Service. We benefited from his extensive experience in both private and university practice. Importantly, Harold also developed into an effective leader. 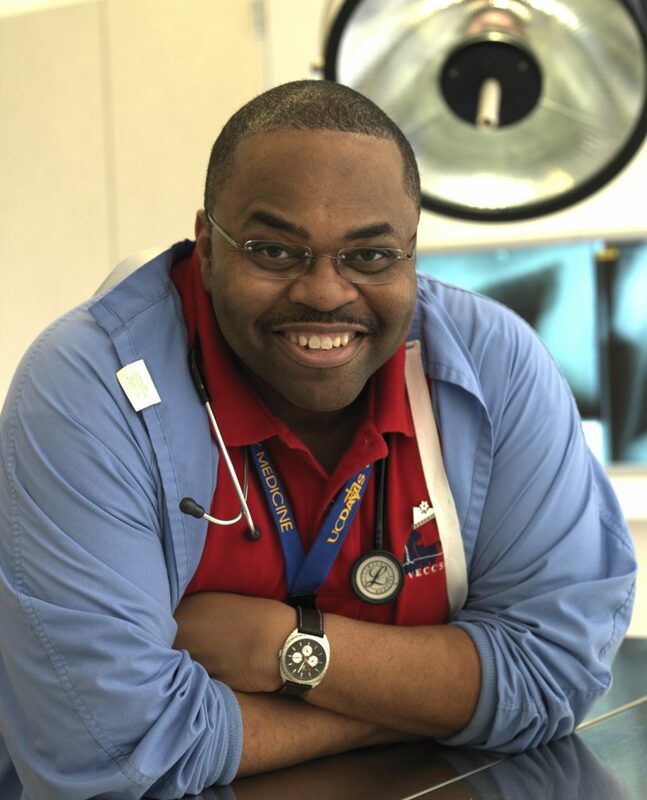 He co-founded the Academy of Veterinary Emergency and Critical Care Technicians and is a charter member of the Academy of Veterinary Technicians in Anesthesia and Analgesia. Over the years, Harold received many honors including the Merck AgVet Award for Creativity in Teaching and the California Veterinary Medical Association Outstanding Animal Health Technician Award. His many leadership positions and speaking awards culminated in his recognition as Speaker of the Year in 2012 for Veterinary Technicians at the North American Veterinary Conference, which he will continue to be involved with following his retirement. He is considered “a driving force” in continuing education for veterinary technicians regionally, nationally and internationally. As we finished our conversation, I asked Harold for his advice to me as a dean. He thought for a moment, smiled broadly, and after softly chuckling, said, “be visible and continue to show that you care.” These are words that Harold lived by and revealed through his many leadership and education roles. His sincere demonstration of his integrity through his work and actions are models from all of us to consider as we look toward the future.